TestingCup is created and supported by a group of enthusiast. 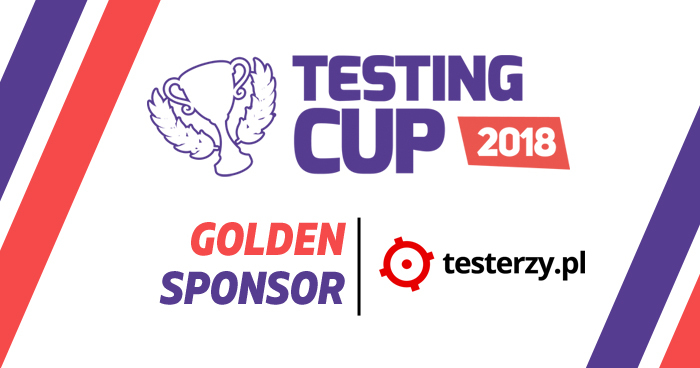 That is why we are so proud to introduce to you our Golden Sponsor- testerzy.pl. Every self-respecting software tester in Poland heard about testerzy.pl! It’s already a decade since this team of professionals has started upskilling software testers by preparing them for the ISTQB certification and organising practical workshops and labs. They train employees of such companies as Nokia, HSBC Service Delivery, Diehl Controls, Allegro or Volvo. By sharing their knowledge, techniques and good practices they teach testers how to test well. Be sure with them you’ll provide tests of the best quality!